As the weather grows milder and the days get longer, it’s impossible not to be impressed by London’s spring flowers. With blooms and bushels of magnolias, wisteria, daffodils and crocuses, London is a sea of the most charming pinks, purples and yellows this time of year. Here’s where to go to make sure you don’t miss out on blooming London. Have your camera ready. Though all of London’s parks are simply magical in the spring, the Royal Botanical Gardens, Kew wins for being the most fabulously floral. 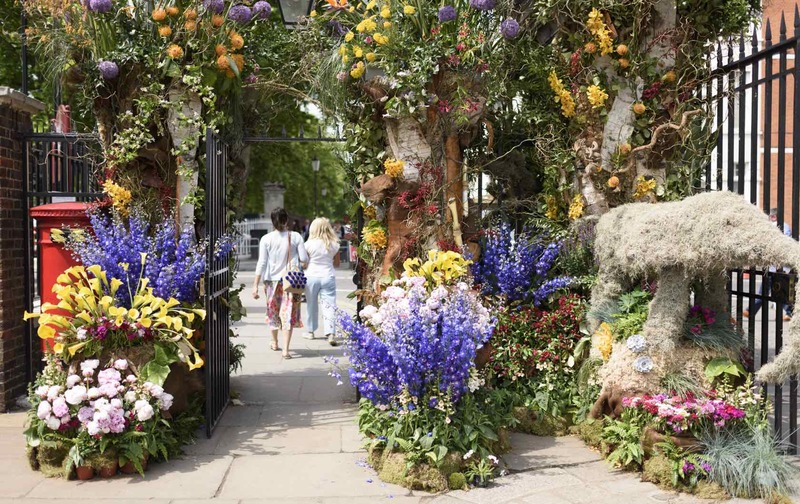 With over 130 hectares of landscaped gardens and greenhouses, these royal botanical gardens in London’s Richmond neighborhood literally come alive in the spring. And Kew Gardens is actually a UNESCO World Heritage site. When visiting, don’t miss the Temperate House, a Victoria greenhouse with Kew’s rarest plants. There’s also the Princess of Wales Conservatory, which is bursting with climate-dependent plants like cacti and orchids. (If you have a strong stomach, check out the massive Titan arum, which is known for its highly pungent odor.) And of course, a trip to Kew isn’t complete without checking out photogenic Palm House, a greenhouse with the lushest tropical plants and trees. It’s a favorite of photographers and Instagram aficionados. Book your tickets online to save a few pounds. For most of the year, the upscale neighborhood of Belgravia is known for its pristine white townhouses and neat garden squares. 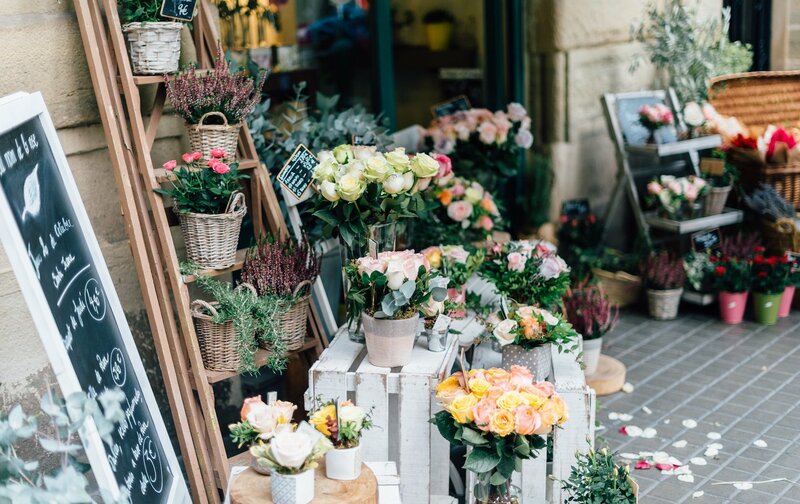 But every May, Belgravia alights with Belgravia in Bloom, a neighborhood-wide celebration of flowers where retailers decorate their store exteriors with the most magical blooms. It’s one of the most charming places to see London’s spring flowers. The retailers and local residents get super creative with their floral displays and designs. Every year has a different theme. (For example, one theme was children’s storybooks.) And the event coincides with the Royal Horticultural Society’s Chelsea Flower Show. It’s the perfect excuse to stay at the gorgeous Belgravia apartment with its beautiful little balcony, which is just perfect for enjoying the lovely spring weather and flowers. 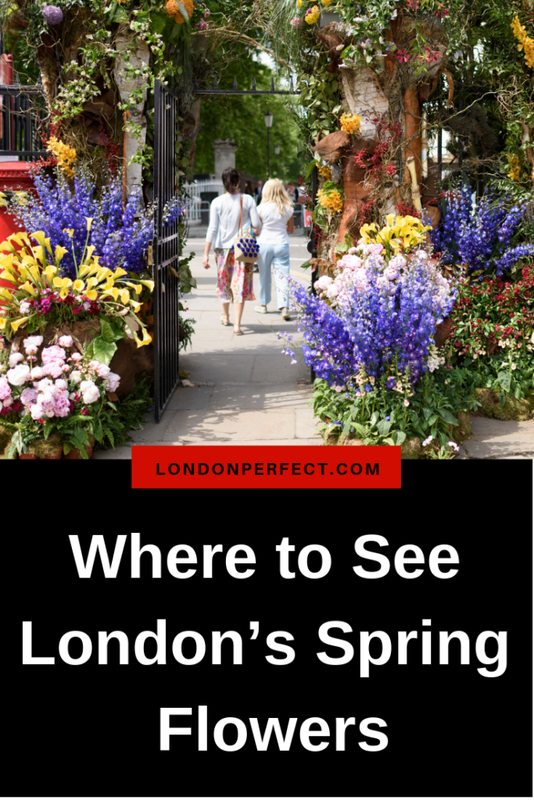 Speaking of the Chelsea Flower Show, it’s one of the most exciting spots to see London’s spring flowers, and it’s a must for all green-thumbs. The show takes place every year at the end of May in the neighborhood of Chelsea. 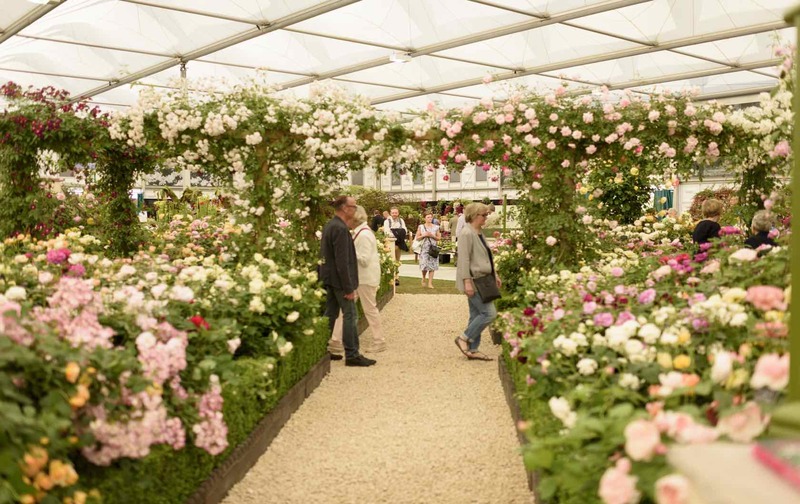 Most of the activity takes place in the Grand Pavillion, which will showcase over 80 exhibitors with show-stopping floral displays by specialist growers. There are also evening events with live music and cocktails at the Ranelagh Gardens. Check out The Chelsea Late for more info. 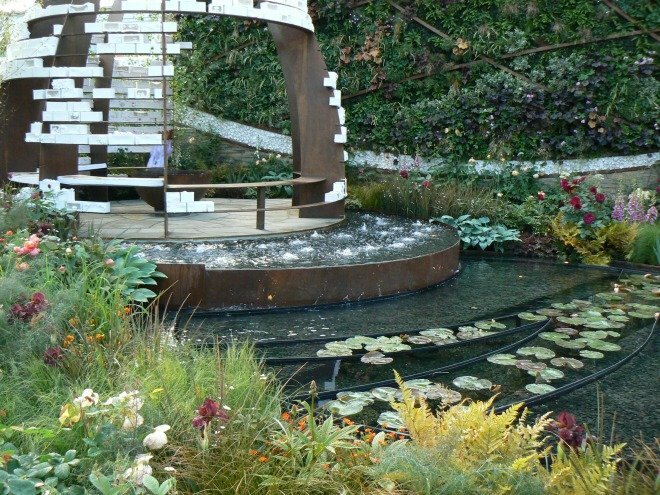 And to buy tickets for this event and the other Chelsea Flower Show events, visit the main website. If you’re planning on attending, stay nearby at one of our London Perfect Chelsea apartment rentals. 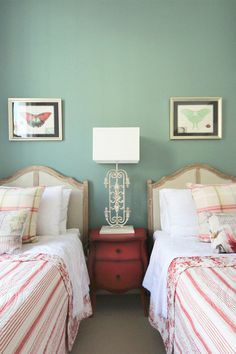 We love the sunny and elegant Palmerston in the heart of Chelsea or the couple-friendly, one-bedroom Portland, which has a pretty backyard garden of its own. You can find more rentals with lovely outdoor spaces here. For lovers of lavender who can’t make it to Provence, swing by Mayfield Lavender Farm in Banstead on the Surrey Downs. 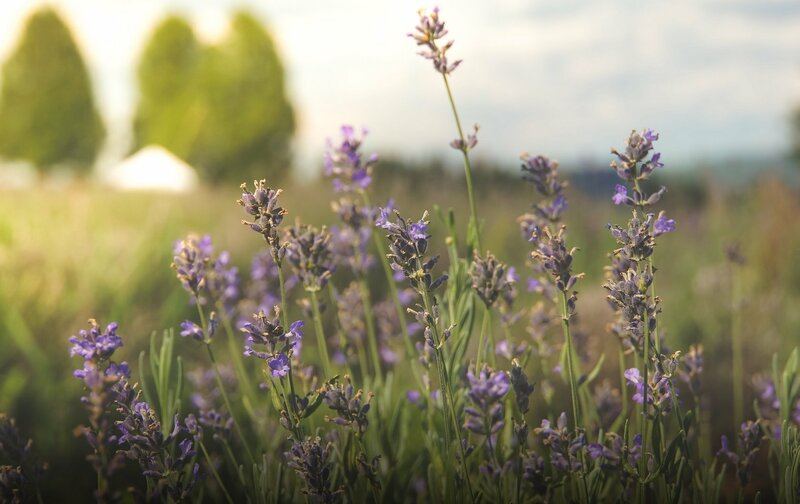 Approximately 15 miles outside of Central London, Mayfield Lavender Farm brandishes 25 acres of organic lavender. The lavender starts to bloom at the tail end of spring in the middle of June. It costs £2 to enter the farm. It’s pretty accessible from London via public transportation. 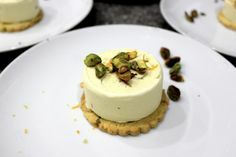 There’s also a café and shop on site where you can pick up lavender oils and even lavender food like infused chocolate, cookies and tea, which would make a unique souvenir. For more ideas on edible souvenirs, check out a few of our favorites here. Columbia Road Flower Market in East London’s Bethnal Green is open all year round, but as it’s an outdoor street market, it’s especially lovely in the springtime. 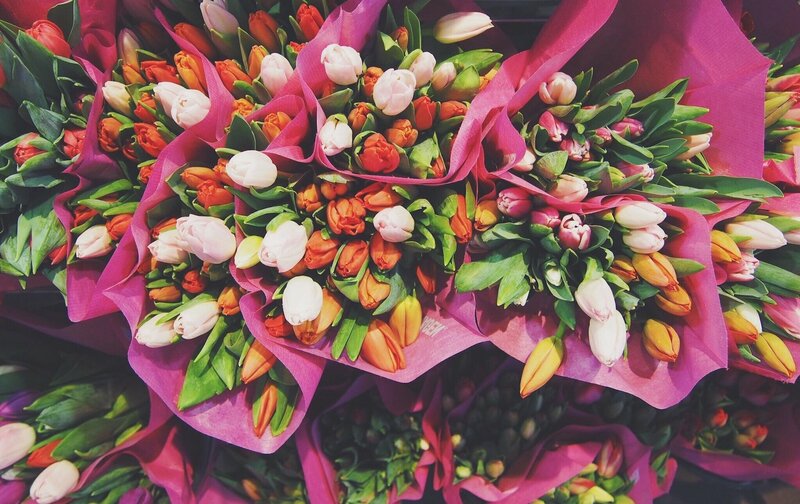 You can literally smell the flowers before you see them on warm, sunny days. The market is open every Sunday from 8:00 a.m. until 3:00 p.m. Go early to dodge the crowds, though as the clock winds down, the flowers do get cheaper. (Yet be forewarned that some flowers do sell out.) Along the road, there are plenty of little cafes and shops to stop in for a breather and to refuel with a little coffee and cake. You’ll be sure to leave with armfuls of the most stunning bouquets. 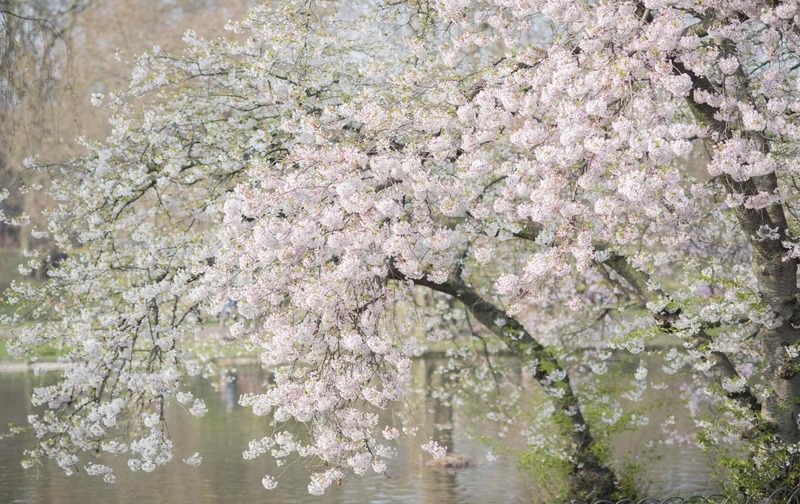 Want to get a whiff of London’s spring flowers this year? 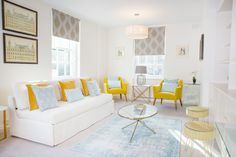 Get in touch with the specialists at London Perfect who can help you pick a perfect London apartment for your stay in the capital. Posted on Monday, March 18th, 2019 at 2:33 am in See & Do. You can follow any responses to this entry through the RSS 2.0 feed. You can skip to the end and leave a response. Pinging is currently not allowed.